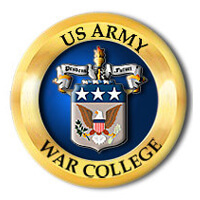 In October of 2013, TekSynap and General Dynamics IT were awarded a contract to upgrade the wireless network on the campus of the U.S. Army War College (USAWC) at Carlisle, PA. The USAWC is a premier military education facility for senior leaders. The college educates resident students in a variety of strategic and leadership courses, preparing senior decision-makers in the development, growth and protection of our Nation. Under the initial effort, we deployed more than 100 wireless access points within the main campus facilities. The program was immediately successful in offering ubiquitous wireless coverage throughout the facility for students and staff in furtherance of the College’s mission. In January of 2014, the Army again turned to the TekSynap team for follow-on tasking to enhance and expand the wireless network to provide coverage campus wide. The expansion provided wireless 802.11 a/b/g/n coverage to more than 17 buildings on the 500+ acre campus. The wireless platform for both the initial and follow-on programs is based on advanced technologies from Cisco Systems. The scope of the programs included RF design, installation, configuration and provision of the Cisco powered solution, which leverages Cisco’s 3500 series wireless access points and 5500 series wireless LAN controllers. We further enhanced the wireless network’s capabilities using Cisco’s Mobility Services Engine (MSE), which, deployed with Cisco’s Network Control System platform, provides location awareness of wireless clients and security detection. The Network Control System, also known as Prime Infrastructure, supplies USAWC personnel with detailed reporting, analysis and inspection of the wireless network as well as management capabilities across the RF spectrum.